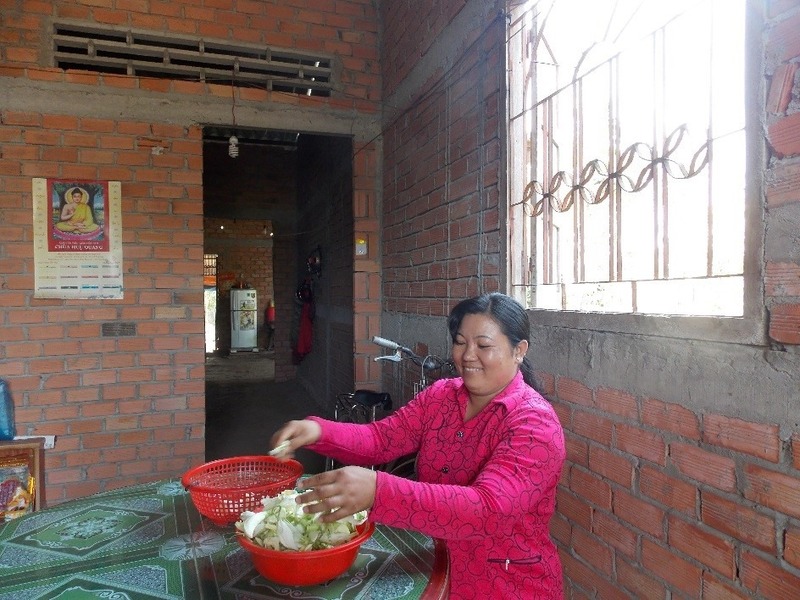 If defining implications of a decent home, well-being is one of those and true to Duong Thi My, 36. Ms. My suffered from kidney problems two years ago, which made it taxing for her to do simple house chores due to dizzy spells and exhaustion. The severe condition required her to go to hospital for treatment on a weekly basis. Although part of the cost was covered by health insurance, the expense of about US$ 140 (VND 3,000,000) per time was close to the monthly income of the family. Understanding the financial strain of parents, her sun Vo Minh Hieu, 18, dropped out of school to help supplement the income. Shortly after that, daughter Vo Thi Thu Thao, 15, also quit studying to lesson burden of her parents, especially for My’s husband Vo Van Thu, 40, a construction worker. 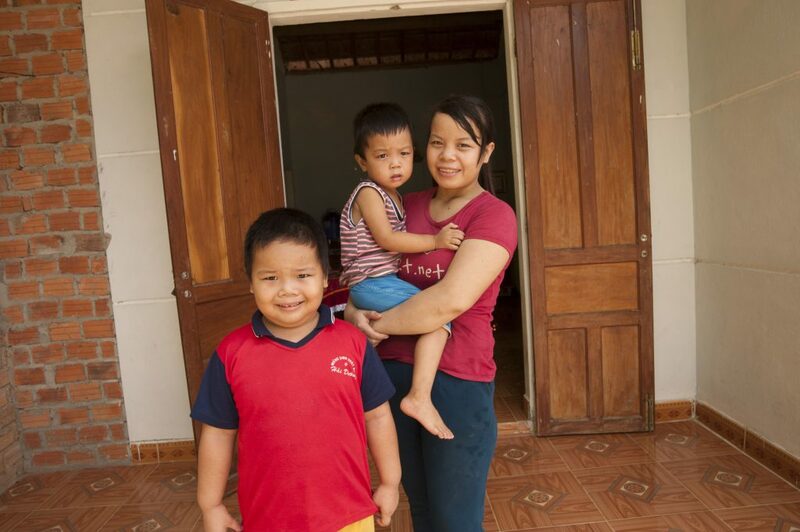 For Hieu and Thao, nothing was worth more than their mother’s health. In addition to health troubles, the housing situation was another distress. The house they had lived for over 7 years was modest, similar to the size of a double bed. The roof was made of tin sheets and caused a stuffy heat in dry season. There were several repairs over the years, yet it didn’t make the home resilient to the weather. Although getting used to the hardship, My couldn’t help but feel pity for her family. The desire to improve their life, which had almost faded away, came alive when My was introduced to Habitat for Humanity’s program. Taking the chance to improve the living condition for her family, My applied for a loan for home repair of about US$ 680 (VND 15,000,000). My contributed their own income, having received support from her relatives to build a new home. 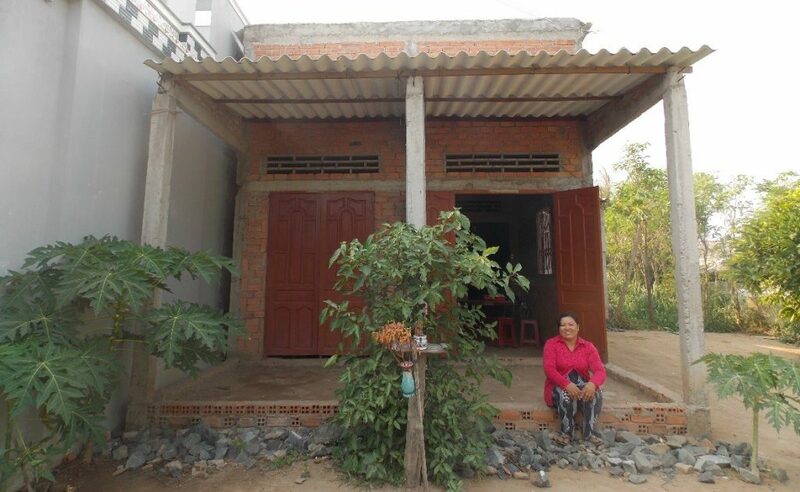 “They lent me money which was about US$ 1,300 (VND 30,000,000) to build the house. Besides, as most of them were construction workers, they have me a hand building it”, shared My. It has been one year since My and her family moved into their new home. Along with the blessing of a new home, health improvements have been noted as My goes to hospital for a check-up every 3 months (instead of weekly). “I don’t know why. I just feel my health has been better recently”, said My joyfully. More than a mental support, the sturdy home offers her the needed comfort. There are two bedrooms for the couple and their children. She can sleep well thanks to the ventilation and ample space. 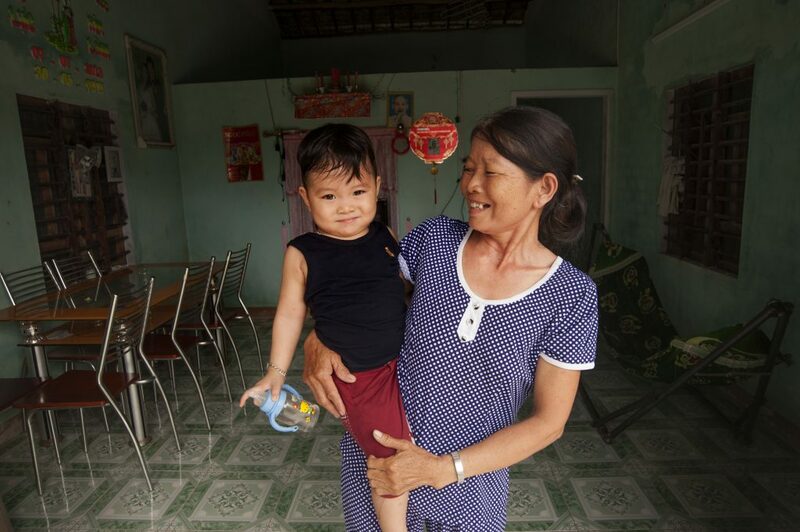 Finally, she has found peace in her home and improving health. The new home opens door to improved health. Additionally, My is able to raise goats to increase the income and help repay for the loan. She is proud to keep her payment on track and believes in her insolvent ability. “Poor families need support like Habitat for Humanity’s program”, told My. We thank My for her credits and wish for her full recovery soon.